Siri Shortcuts Has Great Potential, But Will It Be Realized? While Apple is bringing us lots of handy and interesting new feature additions in iOS 12, it is Siri Shortcuts that shows the most potential to enhance how we use their mobile devices. This broard range of new features promises to bring AI and machine learning capability front and center for iOS users, give us more flexibility to create remote actions, and also give developers a better chance to integrate with Siri. In short, Shortcuts has the potential to change the way we see and use Siri. That makes it a potential game-changer for Apple. However, right now it is still just potential. Will it be realized? The iOS 12 Developer Beta gives us a small preview of what is to come with Siri Shortcuts. While the Shortcuts app isn’t available yet, even in beta form, we can use the existing Workflow app that it is based on to take some of the features for a spin. However, we don’t have to go that far to get a taste of what is to come. There is basic Shortcuts capability already baked right into the beta OS. 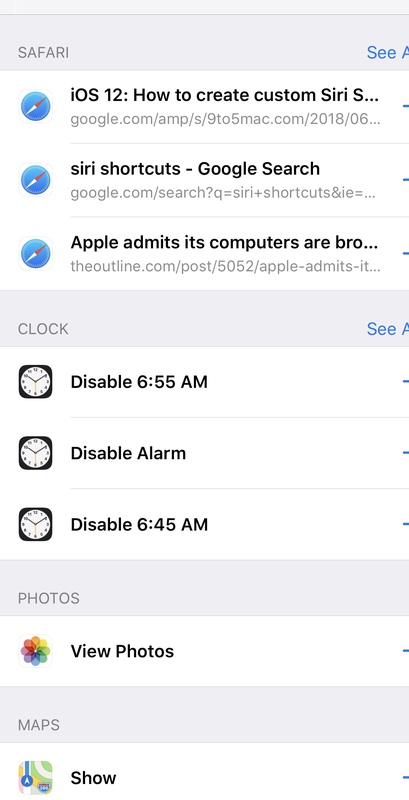 Just go to Settings – Search & Siri to give it a try. As you can see, iOS 12 serves up a few of your most recent actions that can be turned into Shortcuts. Just click the “+”, add a voice trigger to initiate the Shortcut, and you are all set. If you tap the “More Shortcuts” link, you can find a wide variety of potential Shortcuts based on stock apps and services. 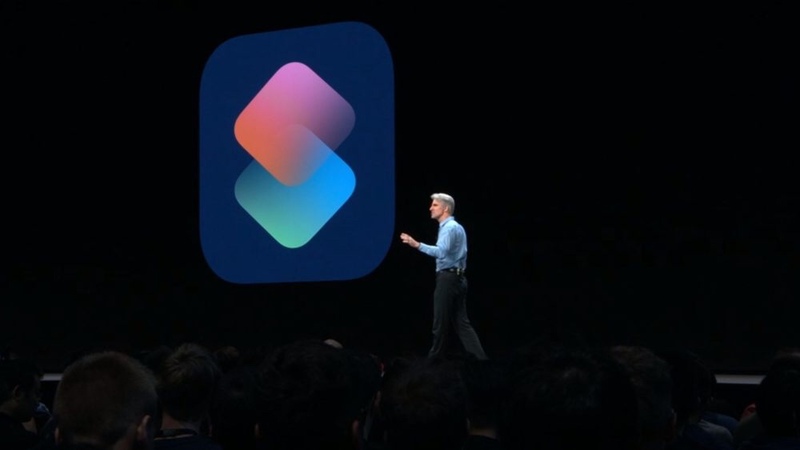 A key feature of Siri Shortcuts that all users will be able to take advantage of its ability to automatically surface items that will be based on each user’s preference. However, the real power of Shortcuts lies in the ability to create your own Shortcuts and to use them with third party apps and services. Unfortunately for Apple, this is where things get a little more uncertain. As cool and useful as Shortcuts look, will custom creation be approachable for normal users? Even more important, will developers buy in? The ultimate success of Shortcuts depends on it. Sound familiar? Back in 2008, Apple unleashed the App Store upon the world, and it changed everything. Developers jumped on the opportunity to deliver mobile applications directly to consumers the same way that music labels had with iTunes a few years before. Apple used the momentum that comes with being the default mobile app platform to help propel iOS forward, and the rest is history. However, we have seen this not work out so well for Apple, as well. The macOS App Store started out ok, but many developers left as things like sandboxing and the rules imposed by Apple made things more difficult. Now they are rolling out Marzipan to try and bolster the macOS store by making it easy to port iOS apps over. At least the macOS App Store had a solid start. The tvOS App Store for the Apple TV has been a mess from the moment it was released. Remember when the “future of television was apps.” Right. Developers never got on board, so the momentum for the platform never built beyond a niche level. macOS and tvOS aren’t all there is, either. While the Apple Watch is popular because of its great fitness features, reliable operation, ok battery life, and tight integration with iOS, the app situation has never been great. The original watchOS apps were an absolute disaster because of underpowered early hardware and the fact that they had to be run remotely on an iPhone. While the situation is better now, many high profile developers have pulled out because of how hard it is to deliver a great experience on the small screen. What does all of this mean for Siri Shortcuts? Developers matter. Why do you think this was rolled out at the WWDC Keynote, with classes following days later to show devs exactly how to implement it. For Shortcuts to become the flagship feature that Apple envisions, developers will have buy in and build the necessary hooks into their apps. Without that buy-in, Siri Shortcuts may never be more than a useful, but limited tool for most iOS users, and a cool power user tool thanks to the Shortcuts app. With dev buy-in though, this feature could change how we use Siri, and even iOS itself, on a fundamental level. Previous PostDeals: Charby Sense Charging CablesNext PostThe iOS 12 Public Beta is Out. Have You Tried It Yet?